We offer a wide selection of classifying sieves. You should be able to find what you're looking for. At Kellyco, it's our goal to make your shopping experience as seamless and satisfying as possible. If you have any questions about metal detecting, classifying sieves, or anything else, our team of factory-certified metal detector experts will be able to provide you with the answer. While sieves are not overly complicated products, there are a few particulars concerning the way in which they work and how they're made. For that reason, we have provided a few commonly asked questions about them below our product offerings on this page. How Does a Classifying Sieve Work? Classifying sieves are named as such because they help you to more easily sort through, size, and classify found metals. By using a classifying sieve, you will know approximately how large each metal is before sizing it down and processing it through a sluice box or gold pan. You will be able to easily sort through, strain and see found metals. It will allow you to separate the found materials, saving you time that you would otherwise have to devote to manually using your hand to sort through and size samples. You will also be able to throw whole bags or buckets of material into the sieve and process more material in a shorter period of time. 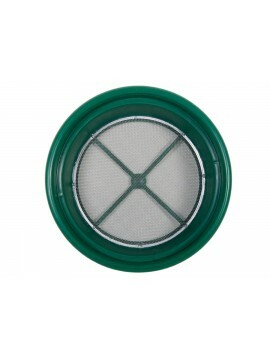 How Does the 4-Mesh Sieve Differ From the 8-Mesh (Or Any Other Sieve)? The classifying sieves on this page are named according to the amount per inch of mesh material in their screens. The 4-mesh classifying sieve has four "squares" of mesh material per inch, which also means each "square" is 1/4 inch. All of the classifying sieves listed on this page follow the same format. With What Materials Are the Classifying Sieves Constructed? All of the classifying sieves on this page are constructed with a high-quality stainless steel screen and a high-impact plastic on the outer perimeter of the sieve. 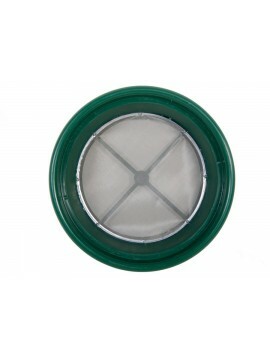 All of the classifying sieves on this page are made to be incredibly durable and long-lasting. Yes, the screens stack. They will fit on the top of most 5-gallon buckets for multi-tiered classifying. At Kellyco, we make it a priority to price our items competitively and to provide only the best customer service. That's why our entire service and sales team is factory certified in metal detecting. They are incredibly knowledgeable of all of the current metal detecting products on the market and metal detecting practices. They would be happy to point you to the right product or in the right direction for your specific needs. Kellyco has been a premiere provider of metal detectors and metal detecting accessories for over 60 years now. 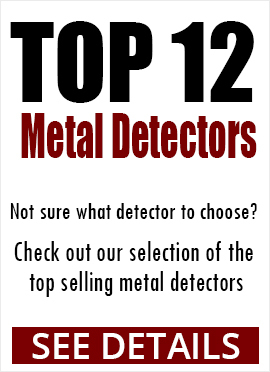 We also have a large inventory of products, and hope we can be your one-stop shop for all of your metal detecting needs.